Quality engine performance today is great. But enhanced engine performance for tomorrow and beyond is the Spotlight Automotive way! Our state-of-the-art tools keep us abreast of all Infiniti’s innovation. We’re using the industry’s most advanced diagnostic service equipment to analyze your Infiniti’s true condition. We put you on the path to peak performance and keep you there. Your Infiniti should not be treated like every other vehicle in the garage. It should be treated like the top-notch luxury performance vehicle it is. This means that only a specialist with trained hands and eyes should be providing its services. Your Infiniti has a reputation for taking your driving experiences to the next level. 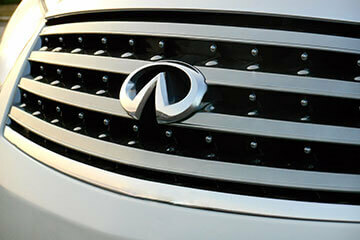 Our team upholds that same standard by providing superior Infiniti services. You can expect quality OEM parts and factory-approved equipment. Schedule Your Infiniti Repairs Today! You can enjoy your Infiniti for as long as you need it. All you have to do is trust it to right technicians. We consider your vehicle’s age and your driving habits when we design a maintenance service plan. And should you need any Infiniti repairs, we’re the best facility in this area. Save time and money by contacting Spotlight Automotive first. Come to our experts for a second or third opinion before receiving an expensive repair. Give us a call today at 312-967-0732 to schedule your Infiniti service appointment. You can also use our convenient online scheduling system. Next time you’re in the area, feel free to stop by to meet our team. Just pick a day and a time that works best for you, and we’ll meet you here. We gladly welcome all of our walk-ins!